On Wednesday, September 6th new lead generation forms will be released to all publishers. Please note: publishers do not need to make any changes at this time. This is the latest enhancement of the lead generation form technology to optimize user experience and content request completion; which will ultimately increase earnings for publishers. Hey Publishers, we compiled a list of the hottest new offers for you to promote to your audience. You will find a list below detailing each new content offer, including topics from IT to Management to HR and more. At the top of the list are two limited time offers, so dive in. Drive your August promotions with the best of the best content and #revup your audience and your earnings. Hey Publishers, we compiled a list of the hottest new offers for you to promote to your audience. You will find a list below detailing each new content offer, including topics from IT to Management and much more. At the top of the list are two limited time offers, so dive in. Drive your July promotions with the best of the best content and #revup your audience and your earnings. We'd like to inform you that the RevResponse Support Team will be making a minor maintenance update Saturday, June 3rd 2017. The maintenance window will be roughly 15 minutes and during this time you will not be able to access RevResponse and your promotions will not be accessible. If you encounter the website during this time, please check back in 10-15 minutes. If you have any questions, please do not hesitate to contact our team by email: partnerservices [at] revresponse [dot] com or contact form. [UPDATE] The RevResponse Support Team successfully completed the maintenance update Saturday, June 3rd 2017 between 2:59pm and 3:20pm PST. Hello Publishers, as we ‘east coasters’ gear up for the first day of summer we are bringing you the hottest new content offers to promote to your audience this June. You will find a list below detailing each new content offer, including topics from Management to IT to Marketing and more. At the top of the list you’ll find two limited time offers, so dive in. Drive your June promotions with the best of the best content and #revup your audience and your earnings. Hey Publishers, we compiled a list of the hottest new offers for you to promote to your audience. Topics range from IT to HR to Sales resources and more. Included at the top of this list are two limited time offers, so dive in. Drive your May promotions with the best of the best and #revup your audience with these hot resources. This week the RevResponse Team released five newly designed native ad units in the Monetization Tool Kit. Publishers are invited to check out the updates and implement on your site to increase earning potential. Monetization tools can be seamlessly integrated with your content to create a non-disruptive experience for your readers while increasing your earning potential. Implementation is simple; plus custom options are available to fit your needs. The 15 Most Downloaded eBooks of 2016 has arrived! Your readers will be thrilled to get their hands on this list of 15 free eBooks for their holiday season reading enjoyment. 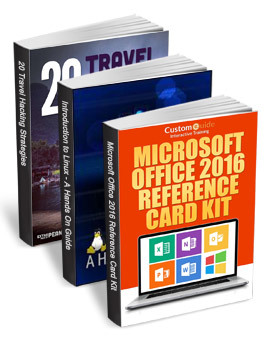 From Microsoft Office 2016 guides to an Introduction to Linux, to 20 Travel Hacking Strategies, we’ve pulled together the most popular resources requested by your readers this year. 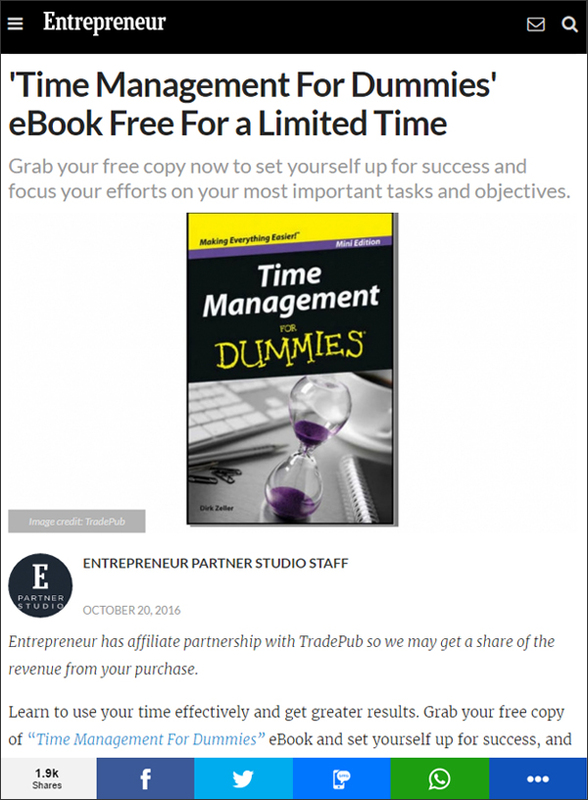 Check out the eBooks from top publishers, including, MakeUseOf, SitePoint, Free Management eBooks, and more.